The benchmark indices continued to fall for the seventh straight day. 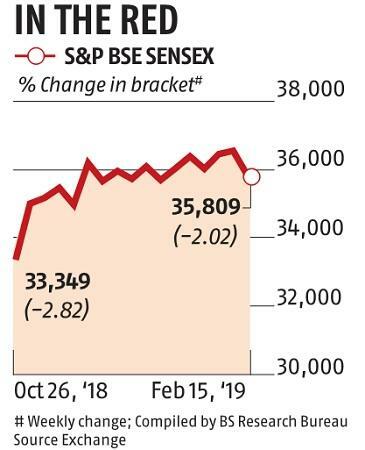 This week, the benchmark indices lost 2.02 per cent, the worst weekly close since October 26, 2018. Market participants said the macroeconomic concerns, disappointing results in the last seven sessions and lingering US-China trade tensions put pressure on the markets. 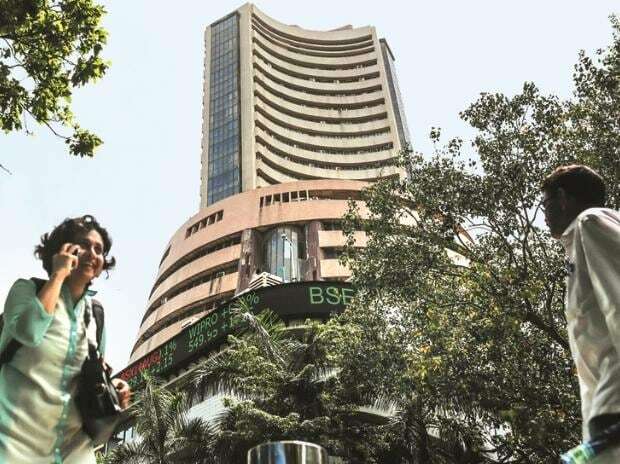 Experts said that the change of tone by US Federal Reserve at its meet on January 30 and change in stance by the RBI (with a repo rate cut) on February 7 along with Union Budget presented earlier this month had lifted the market sentiments in the first week of February. Experts said that the rupee and the bond yields did not respond in line with the repo rate cut indicating that government is likely to be a large burrower going forward and interest rates may not come down quickly. Further, the quarterly results of companies which were announced in the last seven sessions failed to impress the markets. The quarterly numbers of both Eicher Motors and Ashok Leyland who announced results this week were disappointing especially on the margins front and had muted outlook. Moreover, concerns about companies with high debt and promoter share pledging and continuing liquidity crunch kept the investors on tenterhooks. “The overall money flow in the banking system or lending has dried out quite significantly. The liquidity crunch has been significant, and it is hitting mid and small-cap stocks, ’Siddhartha Rastogi, CEO, Ambit Asset Management. Going forward, market participants said that US-China trade talks, geopolitical tensions within our neighbourhood, election uncertainties and concerns over repayment of debt by companies would keep the markets on tenterhooks. On Friday, the benchmark Sensex fell by 67 points and ended the session at 35,808.95, a decline of 0.2 per cent. Thirteen of the 19 sector indexes compiled by BSE dropped, led by the gauge of metal stocks.